The station is on the Northern line, between Charing Cross and Tottenham Court Road, and the Piccadilly line, between Piccadilly Circus and Covent Garden. It is in Travelcard Zone 1. 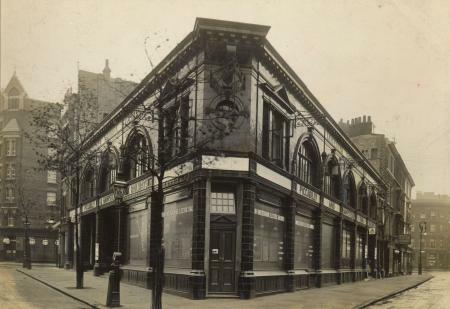 On early Tube plans, the station was listed as Cranbourn Street, but the present name was used when the station was first opened by the Great Northern, Piccadilly and Brompton Railway on 15 December 1906. 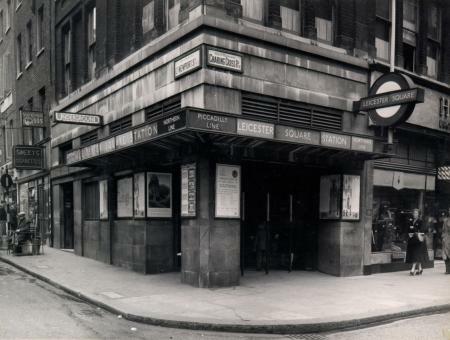 Like other stations on the original sections of the Piccadilly and Northern lines, the station was originally constructed with lifts providing access to the platforms. 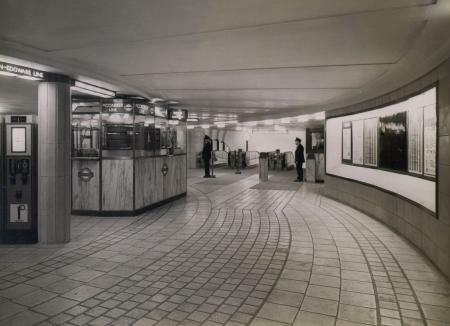 The increase in passenger numbers in the 1920s as the Northern line was extended north (to Edgware) and south (to Morden) and the expected further increase from the 1930s extensions of the Piccadilly line led to the reconstruction of the station below ground in the early 1930s. New station entrances were constructed to a new sub-surface ticket hall. 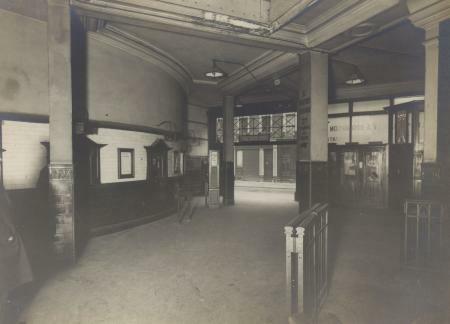 As with the similar sub-surface ticket hall previously built at Piccadilly Circus this was excavated partially under the roadway. From there banks of escalators were provided down to both sets of platforms. The redundant lifts were removed but the lift shaft remains in use as a ventilation shaft hidden behind a small door on the first landing of the Cranbourn street entrance stairs. The redeveloped station opened in 1935. The escalators down to the Piccadilly line were the longest on the entire Underground network, being 54 m (177 ft) in length, until the rebuilding and reopening of Angel in 1992, which overtook Leicester Square with its 60 m (197 ft) escalators. 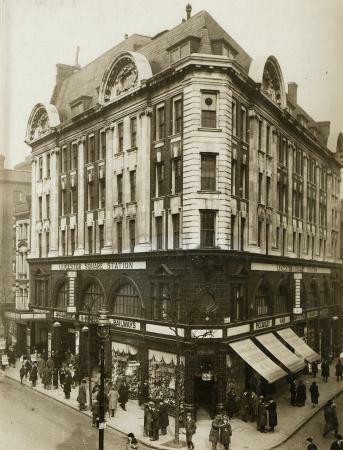 Offices above the red terracotta station building on the east side of Charing Cross Road were once occupied by the Northern line management staff but now have a variety of functions in addition to the Northern line management, with Piccadilly line management and other support functions including a training centre on the first floor. The building, known as Transad House, was in its early years, occupied by the publishers of the Wisden Cricketers' Almanack and an image of cricket stumps appears above a door way. On all four platforms, film sprockets are painted down the entire length and on the top and bottom of the display area (blue on the Piccadilly line platforms, and black on the Northern line platforms), due to the four premiere cinemas in Leicester Square. The station is featured briefly during the introductory video sequence of the 2009 film Harry Potter and the Half-Blood Prince. 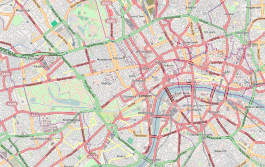 London Buses routes 14, 19, 24, 29, 38 and 176 and night routes N5, N20, N29, N38, N47 and N279 serve the station. ^ "Underground Journeys: Leicester Square". Royal Institute of British Architects. Archived from the original on 7 July 2011. ^ "Underground Journeys: Escalators". Royal Institute of British Architects. Archived from the original on 7 July 2011. 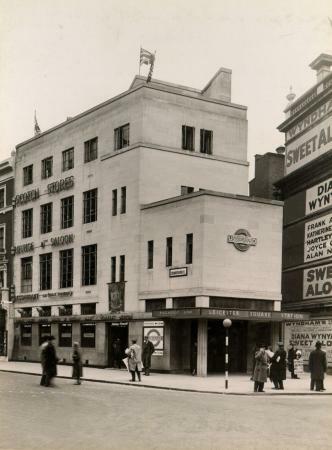 Wikimedia Commons has media related to Leicester Square tube station. "Underground Journeys, Charles Holden's work for London Underground". Royal Institute of British Architects. Archived from the original on 7 July 2011. "Underground Journeys: Leicester Square, Design drawing and history". Royal Institute of British Architects. Archived from the original on 7 July 2011. "Underground Journeys: Escalators". Royal Institute of British Architects. Archived from the original on 7 July 2011. This page was last edited on 30 January 2019, at 08:28 (UTC).